This project focuses on the correspondence and papers in the Boulton and Watt Archive, covering the years 1728-1848, recently re-catalogued by the Archives of Soho Project, a major initiative funded by the Heritage Lottery Fund. The collection allows the scholar to understand the growth of the steam engine business; how the employees at the Boulton and Watt Soho Manufactory and Foundry worked and how they were dealt with by their employers. The letters are detailed and were written on a day by day basis with in depth descriptions of the running of the business. Researches will not only gain valuable insight into the Boutlon and Watt Company, its agents, engine erectors, engineers and carriers, but also the company’s impact on the Industrial Revolution at home and overseas. The Principals’ and Partners’ Correspondence focuses on Matthew Boulton, James Watt, Matthew Robinson Boulton, James Watt Junior and Gregory Watt. 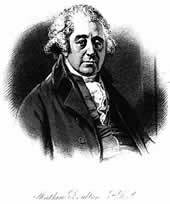 Thomas Barnes (Boulton & Watt’s North-Eastern agent from 1794 to 1798). John Buchanan (Boulton & Watt’s clerk at Soho Manufactory). Henry and William Creighton (Engine erectors and engineers). Peter Ewart (Agent and engineer). William Forman (Clerk, later the Head Clerk, in the engine firm’s counting house at Soho Manufactory). John Hall, Joseph Harrison and Logan Henderson (Engine erectors). Jabez Carter Hornblower (Engineer and rival engine-maker). Samuel Hurt (Head Clerk at Soho Foundry). Abraham Storey (Head of the Foundry department). Simon Vivian (Smith and fitter at Soho Foundry). Eidingtoun Smeaton Hutton (Engine erector and engineer). James Lawson (one of Boulton & Watt’s longest serving and most experienced engine erectors and engineers).